With the help of our highly skilled craftsmen and advanced crafting techniques, we are offering a splendid range of Bheru Baba Statues. 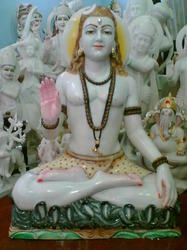 The offered statues are sculpted using superior quality marble in compliance with the international quality standards. These are well-known for their dazzling & elegant appearance, exquisite design and flat base pattern. Moreover, these statues can also be customized in accordance with clients’ specifications. Reflect the skills and creativity of traditional craftsmen, these are available at market leading prices. We offer our clients’ an elegant statue of Lord Bhairu Baba that has been aesthetically crafted reflecting the expert craftsmanship of our dedicated craftsmen. Manufactured using premium quality materials, our range of statue in widely appreciated for their high durability and perfect finish. These can be availed in various designs and sizes as per the specifications of our clients’. Apart from this, these can also be custom made following the requirement of our customers. 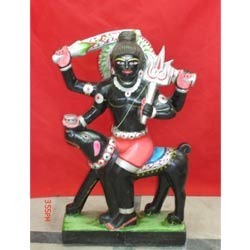 Looking for Bheru Baba Statues ?